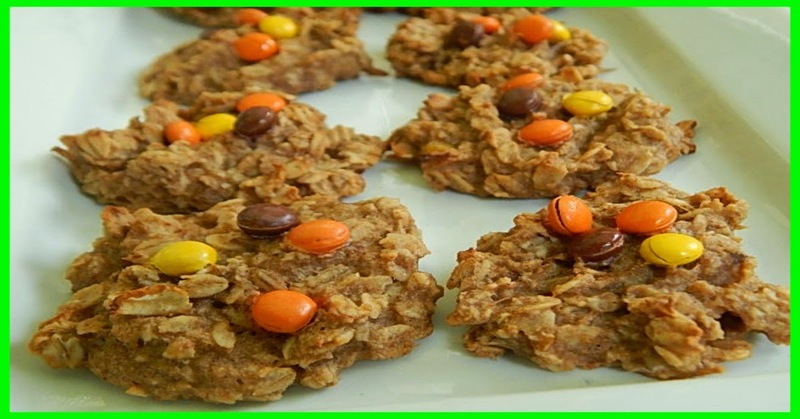 At only 1 point each they definitely are a guilt free treat, and can also work for a quick grab and go breakfast when there is no time in the morning to make anything. Just a few ingredients and a little of your time and you will have these whipped up in no time. Mash up your bananas and ad the peanut butter, mix well. Add the applesauce, vanilla and cinnamon and continue mixing. Stir in the oats. Drop by spoonful onto a parchment lined cookie sheet. Top with mini reese pieces and bake for approx. 20 minutes.